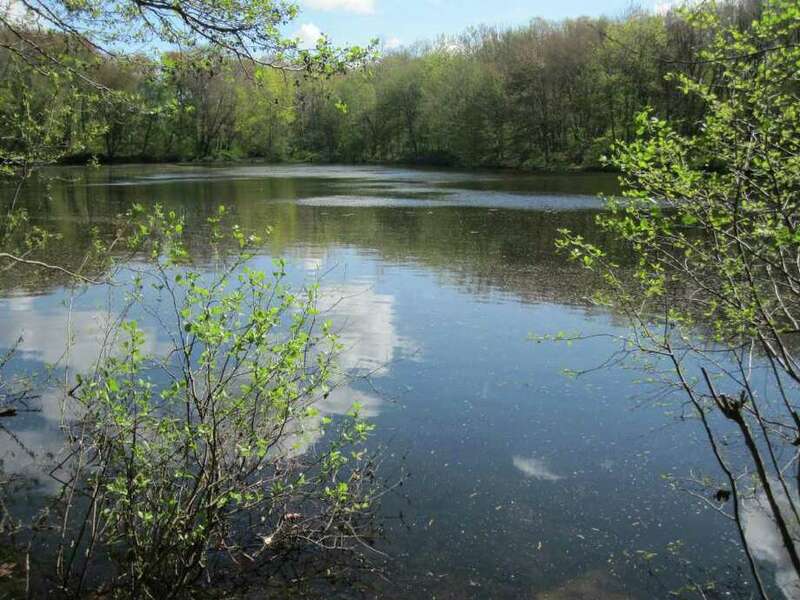 The Perry's Mill Ponds Open Space offers hikers, kayakers and fishermen a slice of wilderness without leaving the Fairfield town boundaries. EDITORS NOTE: This part of an occasional series exploring town-owned parcels preserved for recreational use and communing with nature. Among Fairfield's open spaces, Perry's Mill Ponds offers something for just about everyone. And any discussion of the ponds has to start with the Mill River, a key feature in many of the town's open spaces. This ancient river is Fairfield's geographic backbone, running south to the Long Island Sound from its inland origins. It meandered peacefully through the ages until the 17th century, when European settlers began to exploit it for human purposes. The Mill River now follows its 8-mile course through town largely in disguise, significant sections having been transformed and renamed. In 1902, the town dammed the river to create a reservoir, Samp Mortar Lake. Lake Mohegan and Perry's Mill Ponds came about from gravel excavation for projects such as the Merritt Parkway and I-95. The river ends at Southport Harbor, dredged in the early 19th century for shipping. More-or-less-unaltered stretches of the river remain but must be sought out. An unassuming sign with a small parking area on Sturges Road, just off Bronson Road), marks the longest of three independent trails into Perry's Mill Ponds. It offers an easy and interesting hike of an hour or so but also a chance to walk into history. A notable artifact of Fairfield's origins is just off the trail as you start out -- Perry's Mill and dam. Established in 1680, it burned down in 1705. The town reclaimed the property and quickly sold it to Joseph Perry, who rebuilt the mill at its permanent site. The dam provided waterpower for Perry and his descendants to mill grain until the milling business faded along with local agriculture. The last Perry to own the property converted the mill building into a private residence and sold it in 1949, honorably ending a two-century run. A section of the dam was taken down in 1958 to relieve upstream flooding. An intrepid bushwhacker can find a short trail below the dam along the "natural" river. PERRY'S MILL PONDS Size: 64 acres Terrain: wetlands with ponds, bog, river, and woods Trails: 3 unlinked trails, mostly flat and dry. Wet spots, even flooding, possible. Longest trail about 0.75 miles. Activities: hiking, birding, fishing, canoeing, kayaking. Site of River Lab school nature study. Parking: small parking areas or street. Recommended reading: "Walking Through Fairfield's Open Spaces," available at the Conservation Commission, Town Hall. Useful trail maps and information. The main trail follows the river upstream to the Lower Pond. I'm always taken by its size and its aura of seclusion. In season, enclosing trees hide the nearby houses. The trail follows the west bank, with fine views all the way. You'll cross a wooden bridge over a boggy patch. You may meet a fisherman or see a canoe on the pond. The pond attracts water birds such as geese, mallards, cormorants and swans. The trail continues along a stretch of river to the Upper Pond. Here, you can pause and enjoy the hypnotic sound of rushing water created by the strong spring current. Along the Upper Pond, you'll cross another bridge into a wet but passable clearing. The trail ends at a huge uprooted tree where the river bends into the pond. The trail is out-and-back, but it feels different as you return. The two other trails will get you to the other side of the ponds, and there's a surprise or two waiting. The Field Guide map will show you how to find them. Ron Blumfeld is a retired Fairfield pediatrician and an experienced hiker.